Check the Meet Adriana page for winter 2019 tour dates! "Like Trigiani's (Kiss Carlo, 2017) best work, Tony's Wife is an immersive experience, with well- rounded, warm characters, pre-WWII fashion, Jersey accents, and homemade pasta. Moving and delightful." "Tony's wife is a bit of a misnomer, as the strength of the book is Chi Chi's story, but Trigiani is the master of writing complex Italian families, full of characters who love and live with passionate (and sometimes fractured) hearts ... Trigiani delivers another solid historical saga, and her readers will be pleased." 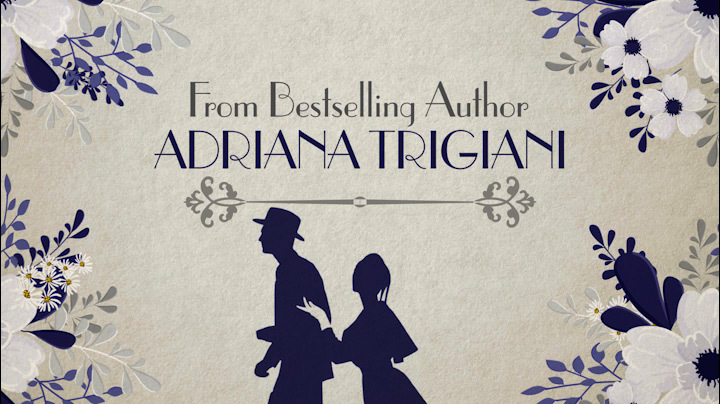 "Trigiani...fills this novel with the musical delights of the big band era and a love that lasts a lifetime ... Packed with melodies, memories, humor, and love and loss, this effortlessly plotted novel is an emotional page-turner." Shortly before World War II, Chi Chi Donatelli and Saverio Armandonada meet one summer on the Jersey shore and fall in love. Both are talented and ambitious, and both share the dream of becoming singers for the legendary orchestras of the time: Glenn Miller, Tommy Dorsey, Benny Goodman. They’re soon married, and it isn’t long before Chiara and Tony find that their careers are on the way up as they navigate the glamorous worlds of night clubs, radio, and television. All goes well until it becomes clear that they must make a choice: Which of them will put their ambitions aside to raise a family and which will pursue a career? And how will they cope with the impact that decision has on their lives and their marriage? From the Jersey shore to Las Vegas to Hollywood, and all the dance halls in between, this multi-layered story is vivid with historical color and steeped in the popular music that serves as its score. Tony’s Wife is a magnificent epic of life in a traditional Italian family undergoing seismic change in a fast paced, modern world. Filled with vivid, funny, and unforgettable characters, this richly human story showcases Adriana Trigiani’s gifts as a storyteller and her deep understanding of family, love, and the pursuit of the American dream.